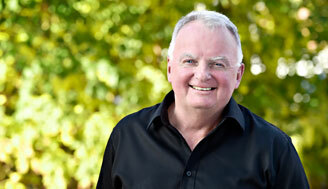 Bob Blake | Find your dream house in the Glebe area in Ottawa, Ontario! Are looking to buy a house for sale in the Glebe, Ottawa? Consider living in one of the city’s best area. The Glebe in Ottawa, a great neighbourhood for your next house in Ottawa! Established friendly neighbourhood in the south of downtown Ottawa, the area of Glebe offers gracious homes on amazing properties. The Glebe was one of Ottawa's first suburbs, think grey stone, red brick, leaded windows and old world charm. Ottawa's Glebe area is a well established, and is a very popular family neighbourhood, it is a perfect location for your next home. The word "Glebe" means church lands, it was given to the location because it was originally known as "the Glebe lands of St. Andrew's Presbyterian Church", since it is a long name, real estate agents started calling it simply ‘’the Glebe’’. With a selection of good schools, Glebe is a core element when buying a house for your family in this area. With easy walking distances to an area of charming shops and popular restaurants, Glebe is the perfect little area. The Glebe possessed housing stock by the late 1960s suitable for both upper and middle income groups. Property values range from $300,000 to over $1M. The Ottawa Glebe housing area is pretty much a seller's market and has been for the past several years. Knowledgeable buyers in the area of Glebe must be quick and assertive. As one of the most cherished areas in Ottawa, you should consider Glebe to buy your next home. If you are considering selling your house in Ottawa and are living in the Glebe area, please consider listing your house with my real estate team. We will help you sell your house fast and easy! The Glebe, a trendy neighbourhood with amazing real estate in Ottawa! Being a sales representative for Royal Lepage in the region of Ottawa for many years, I have a lot of experience in helping buyers and sellers find the perfect house in the Glebe neighbourhood. I have been in the business for over twenty nine years, helping people find the perfect homes in the Glebe area, located South of downtown Ottawa. As an experienced and award-winning sales representative, I know how stressful selling your house can be. That's why I guide you expertly through the whole experience and provide you with useful insight into the world of real estate. Have a wonderful buying experience with Bob's Blake services in Ottawa. Whether you are buying or selling a home in the Glebe area of Ottawa, I am the realtor you need! When looking for your dream house in the Glebe area in Ottawa, consider Bob Blake to help you find exactly what you are looking for. This area of Ottawa has a lot to offer and Bob knows all about it. With over 25 years of experience selling houses under Royal Lepage, Bob is a top salesman and 95% of his clients are returning clients. That says a lot about the quality of his services. The Glebe area is one of the most renowned neighborhood in Ottawa for the various activities it has to offer, the boutiques, the lovely houses, etc. 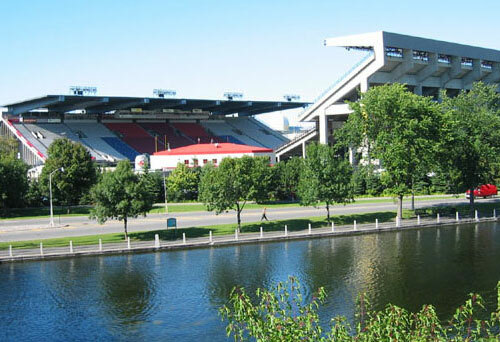 It’s history is part of the Ottawa culture – you will be surrounded by attractions like the Rideau Canal, the Aberdeen Pavilion and Lansdowne Park.